Under the leadership of Tuerk Schlesinger, chief executive officer, AltaPointe Health’s day-to-day administrative and clinical operations are directed and planned by a group of company officers and directors designated as the AltaPointe Leadership Teams. The teams’ all-encompassing oversight for the organization include the areas of administration, communication, facility, and safety management, financial planning and execution, human resources, information technology, mandatory and regulatory statute oversight, psychiatric medicine and clinical treatment, risk management and quality control, strategic planning, among other responsibilities. The leadership team members work together under the direction of the chief executive officer to coordinate and plan for changes, corporate growth, and expansion of services. 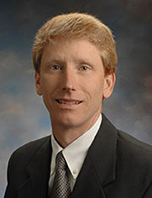 Tuerk Schlesinger, MBA, is the chief executive officer of AltaPointe Health where he has served for 20 years. Based in Mobile, AltaPointe is Alabama’s most comprehensive, behavioral health organization and operates in seven counties. AltaPointe provides a continuum of mental and behavioral healthcare and primary care for children, adolescents, and adults. Under Schlesinger’s leadership, the organization has grown from employing 277 to 1,450, increasing its annual budget from $17 million to $104 million, and from serving an average of 7,000 individuals each year to more than 34,000 in 2018. Operations include BayPointe and EastPointe psychiatric hospitals, two primary care locations, 17 outpatient locations, two private professional counseling facilities, 30 adult residential group homes, six adult foster homes, and six intellectual disability homes. 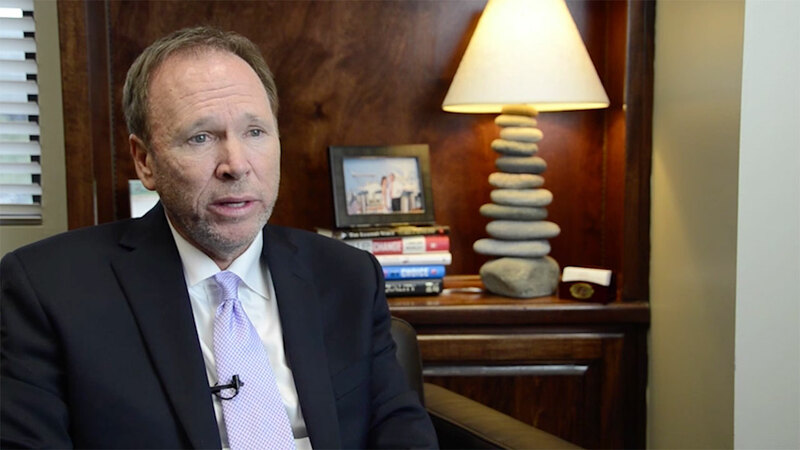 As CEO, Schlesinger established AltaPointe’s partnership with the University of South Alabama, College of Medicine-Department of Psychiatry for which the organization’s psychiatrists provide the administration and faculty. Schlesinger is a member of the Alabama Council of Community Mental Health Boards; the National Council for Behavioral Health; the Mental Health Corporation of America’s Executive Committee; the Alabama Healthcare Reimbursement Reform Task Force-Steering Committee; the Alabama Hospital Association’s Telehealth Task Force; National Association for Behavioral Healthcare; various Alabama Department of Mental Health committees and subcommittees as well as many other organizations. He also serves on the Mobile Area Chamber of Commerce Advisory Board. Schlesinger earned a bachelor of business administration degree from Auburn University and a master of business administration degree from Spring Hill College in Mobile. In 2008, Schlesinger was named a Behavioral Health Champion by the nationally circulated Behavioral Healthcare Magazine. 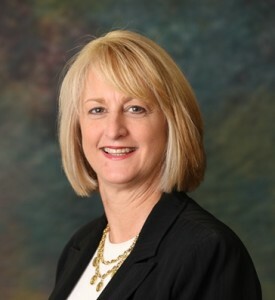 Julie Bellcase, MBA, joined AltaPointe Health, then known as Mobile Mental Health, in 1981, and has held a variety of positions including, vice president of operations, chief operating officer, and director of human resources. She earned a bachelor’s of science degree and a master’s in business administration degree from the University of South Alabama. Bellcase is a member of the National Alliance on Mental Illness, SOMI Club Board of Directors, the United Way of Southwest Alabama Agency Directors, the South Alabama Coalition of Nonprofits, Leadership Mobile’s Class of 2010, Society for Human Resources Management, and has served on the Mobile County Department of Human Resources Quality Assurance Committee, Helping Families Initiative, Communities That Care, Bridges to Better Health Coalition, the Mobile County Public Health Advisory Board, and Mobile United’s steering, finance, and communications committees. 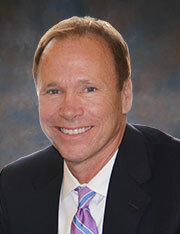 Dr. Parker graduated from the University of Alabama in 1982 with an honors degree in biology. She attended medical school and completed residency training in psychiatry at the University of Alabama-School of Medicine in Birmingham. Parker completed her fellowship in child/adolescent psychiatry at the University of Arkansas for the Health Sciences in Little Rock. As a second year resident, she was awarded her department’s Most Outstanding Resident Award, and as a fellow, she was awarded her department’s Most Outstanding Child Fellow Award. Parker is dual certified by the American Board of Psychiatry and Neurology in adult psychiatry and child/adolescent psychiatry. During her tenure at AltaPointe, the organization has grown from 300 employees to more than 1,450 employees. 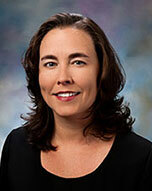 In addition to her role as AltaPointe’s medical director, she is vice-chair and associate professor for the University of South Alabama College of Medicine, Department of Psychiatry. 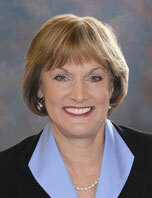 Parker has received numerous honors and awards throughout her career. She is the president of the Alabama Hospital Psychiatric Association and past president of the Mobile Bay Psychiatric Association, a local chapter of the American Psychiatric Association. In 2007, she was named an Alabama Health Care Hero by the Alabama Hospital Association. She was appointed by Alabama Governor Bob Riley to serve as a member of the Alabama Interagency Autism Coordinating Council, a position she still holds. She serves as an adjunct faculty member in the USA College of Allied Health Professions, Department of Physician Assistant Studies, and the USA College of Nursing. 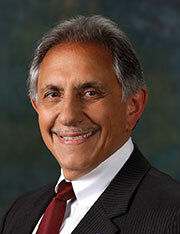 Parker has served as a member of the USA Center for Healthy Communities Advisory Committee. Past appointments include the Mercy Medical Advisory Board, the Mayor’s Transitional Task Force on Healthcare, and the Mobile Ballet Board of Directors. Her major psychiatric interests are in the fields of autism-related disorders, healthcare disparities and telepsychiatry. 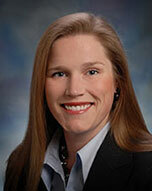 Jessica Esker is AltaPointe's Chief Financial Officer. She joined AltaPointe in 2015 as a financial analyst before taking over as director of patient accounting. Esker earned both a bachelor's degree in health service administration and a master's degree in business from Auburn University. Cindy Atkinson, M.Ed., J.D., was appointed to the position of AltaPointe Associate Executive Director of the Sylacauga Region after AltaPointe merged with Cheaha Regional Mental Health Center where she served as executive director. 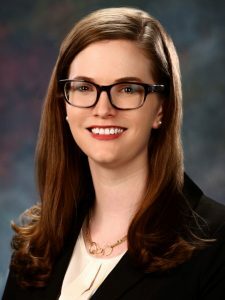 She has a bachelor’s in teaching the hearing impaired from the University of Montevallo and a master’s in rehabilitation counseling from the University of Alabama at Birmingham. Atkinson graduated from the Birmingham School of Law with honors and has been a member of the Alabama State Bar since 2001. She is a Leadership Sylacauga alumna and a former board member of ARC of South Talladega County. The AltaPointe Sylacauga Region serves Clay, Coosa, Randolph and Talladega counties in east-central Alabama. 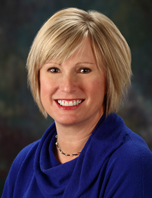 Alicia Donoghue, SPHR, joined AltaPointe in June 2010 as director of human resources and was named chief human resources officer in 2018. Donoghue, a native of Mobile, earned her undergraduate degree in human resource management with a minor in psychology from the University of South Alabama. 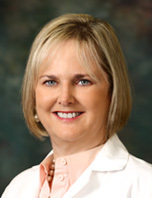 Prior to joining AltaPointe, Donoghue worked for eight years as the director of human resources for Evergreen Medical Center/Gilliard Health Services, Inc. She was an active member of the Escambia/Conecuh County chapter of the Society of Human Resource Management, serving as vice president and president-elect. 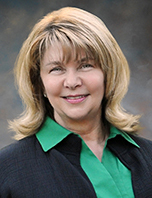 Donoghue has also earned her Senior Professional in Human Resources (SPHR) certification. Jarrett Crum, MSW, is the Chief Hospital Officer. Crum returns to AltaPointe after having served as CEO of Lighthouse Care Center of Augusta, GA, a 79-bed children’s acute psychiatric hospital and residential treatment facility. His previous employment with AltaPointe was as administrator during the opening of EastPointe Hospital. Crum received an undergraduate degree in psychology from the University of Alabama and a master’s degree in social work from the University of Southern Mississippi. He previously worked at Mobile Infirmary Medical Center (MIMC) for more than 15 years. During his tenure at MIMC, Crum served as team leader of the psychiatric case management department where he oversaw utilization management, social services/discharge planning and community marketing. He also helped develop the Infirmary Hospice Care organization and received the Infirmary Health System “Leader of the Quarter” award. Crum has been an active participant in the Alabama Hospital Association-Psychiatric Constituency and was recognized as the Outstanding Service Chairman in August 2012. Ingrid Hartman, LPC, serves as director of quality. She has been with AltaPointe since 2008 serving as the assistant director of CarePointe, coordinator of children’s outpatient services, and assistant coordinator for children’s outpatient case management and in-home services. She received a bachelor’s in communication studies, and a master’s in human development counseling from Vanderbilt University. She is also an Alabama licensed professional counselor. Philip L. Cusa is the hospital administrator for EastPointe. He joined AltaPointe in 2013 as the EastPointe Hospital Assistant Administrator and was promoted to the administrator position in 2014. In addition, he served as BayPointe Hospital Administrator in 2016. Cusa previously served as the administrator of Thomas Hospital in Fairhope, Ala. He formed PLC & Associates, LLC, a healthcare and business consulting company in 2011. Cusa's more than three decades in healthcare include stops at JFK Medical Center and Good Samaritan Hospital in West Palm Beach, Fla., where was director of managed care and chief financial officer. He also held financial positions in the banking, construction, and sugar cane/farming industries in South Florida. Cusa earned a bachelor’s degree in accounting and business from Florida Atlantic University. Cusa's professional and community involvement includes serving as board member of the Exceptional Foundation of the Gulf Coast, Shared Services Healthcare and Med Assets in Atlanta. 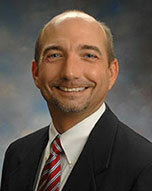 He has been active in the Alabama chapter of the Healthcare Financial Management Association since 1993. Cusa also has served on the Eastern Shore Chamber of Commerce board, the Fairhope Yacht Club board and was president of the Fairhope Eastern Shore Kiwanis Club. Megan Griggs, MS, joined AltaPointe in 2003 as a therapist for the adult community services department. 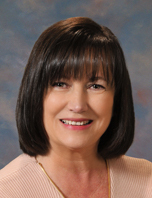 She has served as AltaPointe’s clinical director of adult outpatient services since 2005. She earned a bachelor’s of science in behavioral science from Athens State University and a master’s of science in clinical psychology from Alabama A&M University. Griggs is a member of the Alabama Clinical Directors Association and has held the positions of secretary and vice president. Griggs is actively involved in National Alliance for Mental Illness-Mobile and the Mobile County Domestic Violence Task Force. She is a Leadership Mobile 2013 alumna and a member of Mobile United. Olivia Nettles, LPC, NCC, joined AltaPointe Health in 1993 as a therapist in child and adolescent outpatient services. 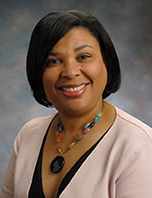 Nettles steadily moved into management roles, first with a promotion to assistant director of child and adolescent outpatient services in 1996 and in August 2002 to director of performance improvement. She was the first director of BayPointe Hospital and Residential Services when the facility opened in 2002. Since 2008, Nettles has served as clinical director of AltaPointe’s children’s outpatient services where she oversees the clinical programming of the outpatient clinics, intensive outreach services, the transitional age residential services and BayView Professional Services. A proven mental health counselor and leader, she is a member of the Alabama Council Clinical Directors Association and has held the positions of vice president and president. Nettles also has been an active member of the National Alliance for Mental Illness-Mobile Board of Directors and received the NAMI- Alabama “Mental Health Professional of the Year” award in August 2016. Nettles graduated with honors from the University of Alabama earning a bachelor’s degree in commerce and business administration with a major in marketing as well as a master’s degree in counselor education. She is a National Certified Counselor, a Licensed Professional Counselor and a Certified Counseling Supervisor in Alabama. Nettles is an active member of the American Counseling Association, Alabama Mental Health Counselors Association and NAMI Mobile. 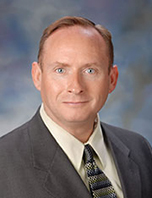 David N. Beech, LPC, MBA, joined AltaPointe in 1993 and has held the positions of adult outpatient services assistant director, access to care coordinator, and therapist. He earned a bachelor’s in psychology from the University of Alabama and a master’s in counseling from the University of South Alabama and a master’s in business administration from Spring Hill College. Beech is a licensed professional counselor. He is a member of the NAMI Mobile board of directors and served as chair of the first-ever franchised NAMI-Walks event in 2014, which raised its goal of $50,000. Robert Carlock, MBA, joined AltaPointe Health in 1996 and has held positions as therapist, assistant coordinator of day treatment, children’s outpatient coordinator, assistant director of BayPointe Hospital, assistant director of adult residential services and assistant director of regional specialized services before being promoted to the Director of Environment of Care. Carlock earned a bachelor’s degree and a master’s of science in community counseling from the University of South Alabama. He also holds a master’s of business administration from Spring Hill College. As a Certified Healthcare Engineer (CHE), he is a member of St. Luke’s Episcopal School Board of Trustees, the Alabama Society of Healthcare Engineering, Alabama Healthcare Emergency Preparedness Professionals Advisory Board and the Gulf Coast Hospital Engineers Association for which he has held the offices of president, secretary and treasurer. April Douglas joined AltaPointe Health in 2012 as the Coordinator of Public Relations and was promoted to Director in 2017. 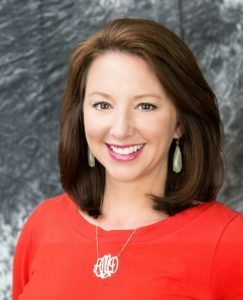 Before coming to AltaPointe, she spent more than a decade in television news working as an anchor and reporter for stations in Florida and Alabama. During that time she was a member of the Capital Press Corps under Florida Governor Jeb Bush and was selected to fly with the U.S. Navy Blue Angels. She has covered natural disasters (including Hurricanes Ivan and Katrina), the 2000 presidential recount, and the prosecution of political leaders at the state and federal level. Douglas has been recognized by the Associated Press, National Press Photographers Association, Public Relations Council of Alabama, Southern Public Relations Federation, and the Alabama Hospital Association for her work. She earned a bachelor’s degree in mass communications from the University of Montevallo. She has served on numerous community boards and committees including the following organizations: Public Relations Council of Alabama - Mobile Chapter, Daphne Strike Soccer Club, Village Park Vision Committee, and the Better Business Bureau. Ann Cunningham, MSW, was appointed to the position of coordinator of the intellectual disabilities division after AltaPointe merged with Cheaha Regional Mental Health Center. She has a bachelor’s in therapeutic recreation from the University of Kentucky, and a master’s in social work from the University of Alabama. Cunningham has worked in the behavioral healthcare field since 1979 serving as homeschool coordinator, director of intellectual disability case management to her current role as coordinator. She is a Leadership Sylacauga alumna and a former board member of ARC of North Talladega County. 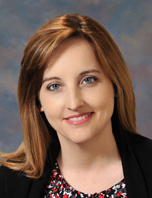 Brandy Richardson, MS, is the associate clinical director for AltaPointe Health’s Sylacauga Region (Clay, Coosa, Randolph and Talladega Counties); She was appointed to this position in November 2016. Before the August 2016 merger with Cheaha Regional Mental Health Center, Richardson was the residential coordinator for that program. She earned a bachelor’s from the University of Alabama in psychology, and a master’s from Jacksonville State University in clinical psychology. She has previously worked as a therapist and as the Intellectual Disabilities coordinator for North Talladega and Clay Counties. Brandy is currently participating in Leadership Sylacauga.